Early in the first quarter of Saturday's D.C. Breeze at Raleigh Flyers game, Matt Bode (#79) caught the disc near - but not in - the end zone, and erroneously spiked the disc thinking he had scored a goal. Instead of a goal, this turnover would count as one of Bode's 3 total turns on 37 game catches. Broadcaster Evan Lepler called Bode's oopsy a "killer mental mistake" and a "bonehead maneuver." "That is a bonehead maneuver." Bode would score 7 goals and the Flyers would rally to a 23-21 overtime win. The D.C. Breeze lost a heartbreaker on the road in Raleigh by by the score of 21-23 (12-9 HT) in overtime. The Breeze led the entire game until the Flyers tied it up at 19's with 1:34 left regulation. 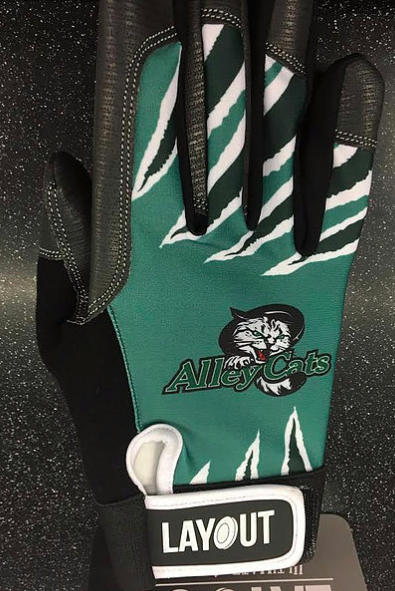 AUDL's Tuesday Toss published a detailed game recap in including a quote from Head Coach Darryl Stanley: "...We sought to address several things from the Toronto game, and I think we addressed all of them very successfully, as evidenced by our performance for the first three quarters. Now, we have some new material to grow from, and I’m confident we will." 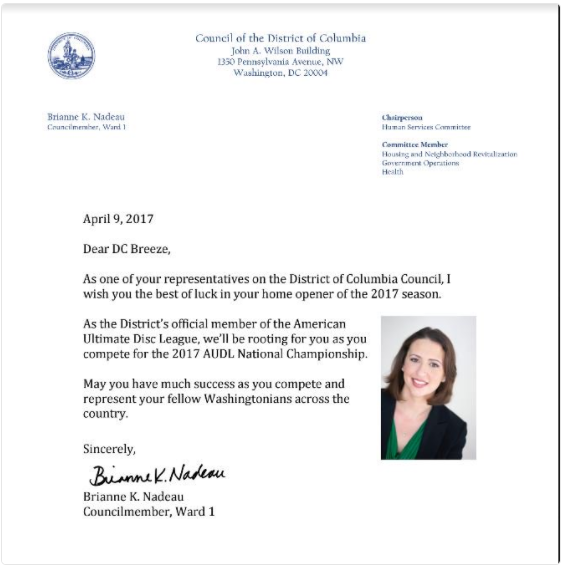 This match was the first in the four cross-divisional series in the 2017 AUDL season with DC (East) playing Raleigh (South). Through week 4, four teams are tied with a (1-1) record. DC is on top based on point differential. 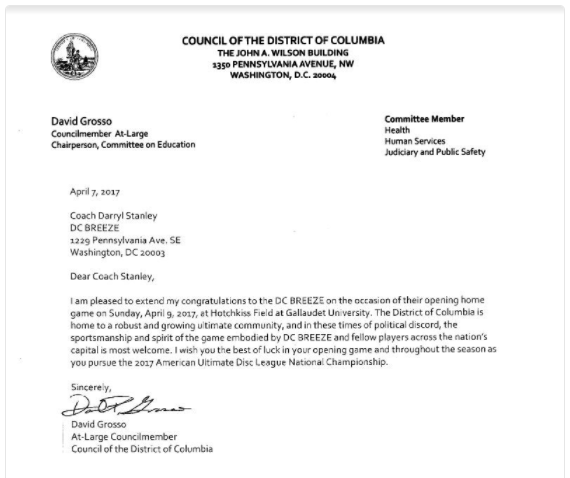 DC's next game is a home game against Ottawa Outlaws on Saturday April 29. DC went (1-1) versus Ottawa in 2016 - a home win and 1 road loss. 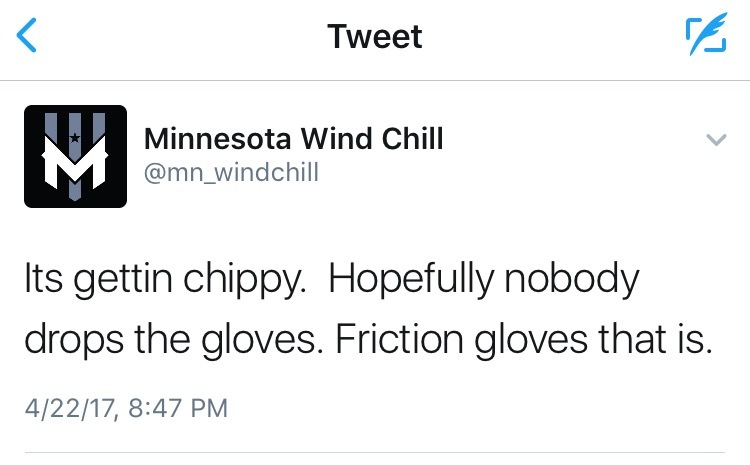 Minnesota Wind Chill: Its [sic] getting chippy. Hopefully nobody drops the gloves. 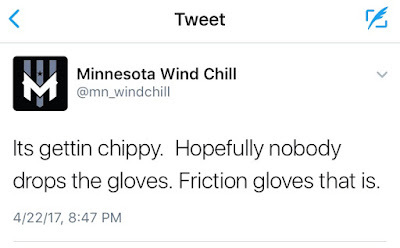 Friction gloves that is. For the record, the Wind Chill sell Friction Gloves in their online shop, while Indy offers gloves by Layout. 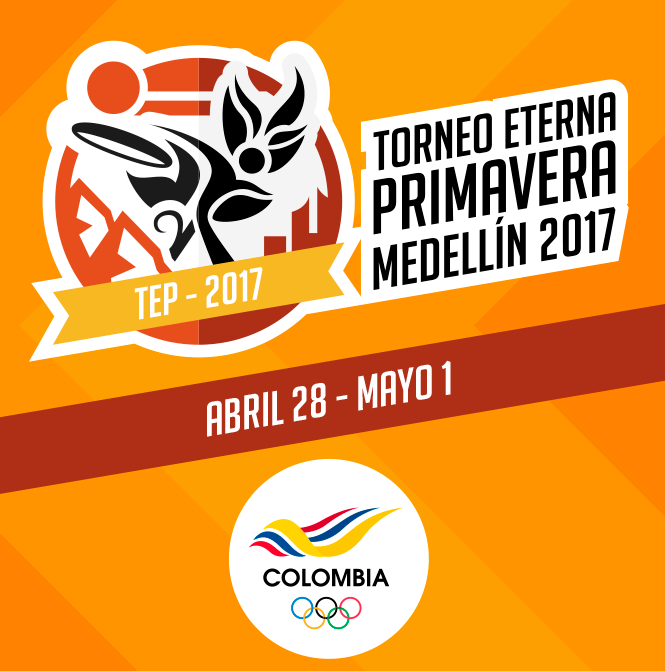 The annual ultimate tournament in Medellin, Colombia is this weekend. A bunch of U.S. club ultimate teams will be playing at Torneo Eterna Primavera. Seattle Sockeye and Raleigh Ring of Fire are playing in the open division. The World Games teams from Canada and the United States will be playing in the mixed division along with Stop Scandal (a combo D.C. Truck Stop + Scandal) team and Denver's Molly Brown + Johnny Bravo. 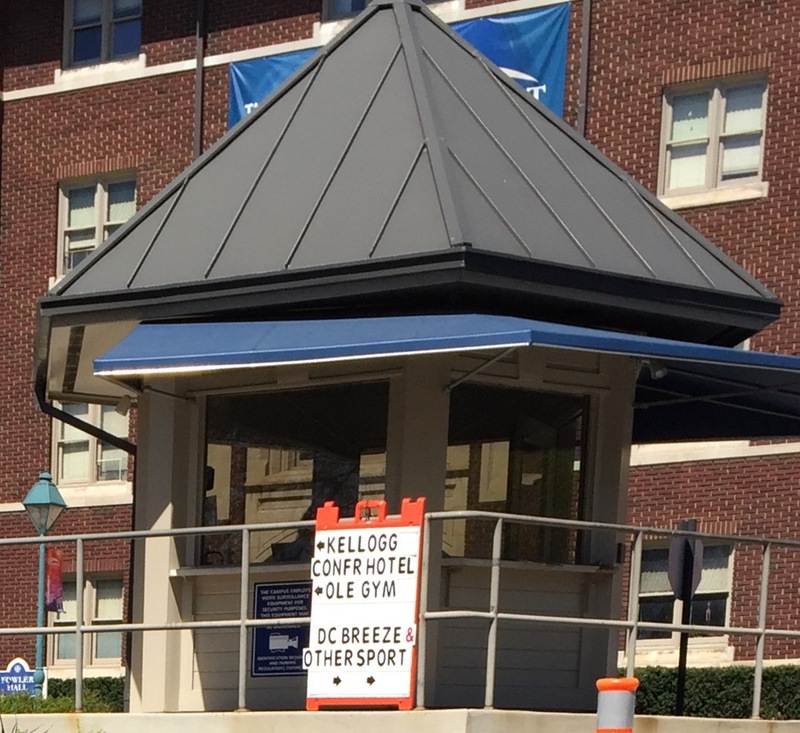 In the women's division, Raleigh Phoenix and a combined D.C. Scandal + Denver Molly Brown squad will be playing. 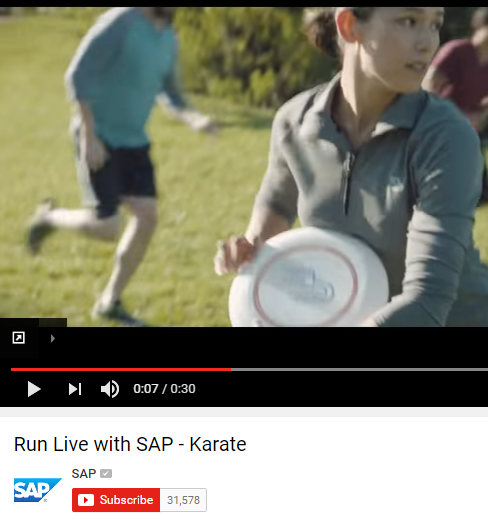 A commercial for software and technology solutions company SAP gives a shout out to ultimate without mentioning it by name. A brief shot of game action is shown for 1 second. "Wait, the data just changed. Now she's into disc sports." Today's Mini (crossword) Puzzle in The New York Times gave this clue for a 5-letter word: Frisbee thrower's wrist movement. 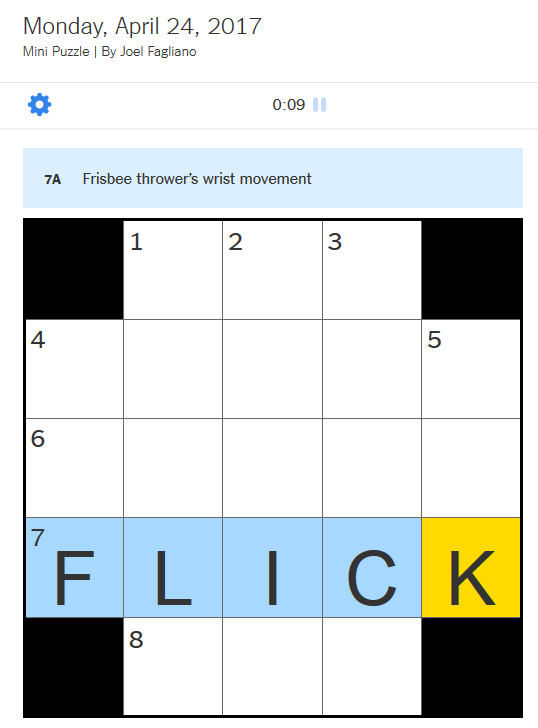 The NYT seems to be a fan of ultimate. Happy Earth Day, fellow earthlings! 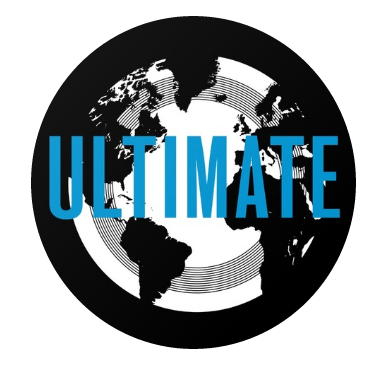 Enjoy our planet's fertile grounds and play ultimate! The Philadelphia Phoenix, who start their 2017 AUDL season on Saturday, have had a tough run in their last three AUDL seasons. The Philadelphia Phoenix currently have a 15-game losing streak dating back to the 2015 season. 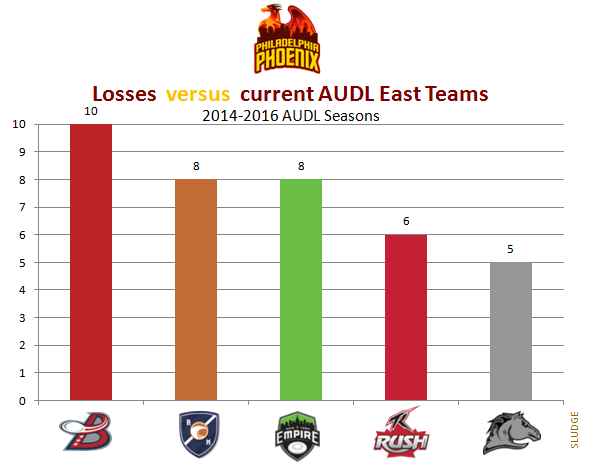 In their last 37 games versus current AUDL East teams, the Philadelphia Phoenix are (0-37). 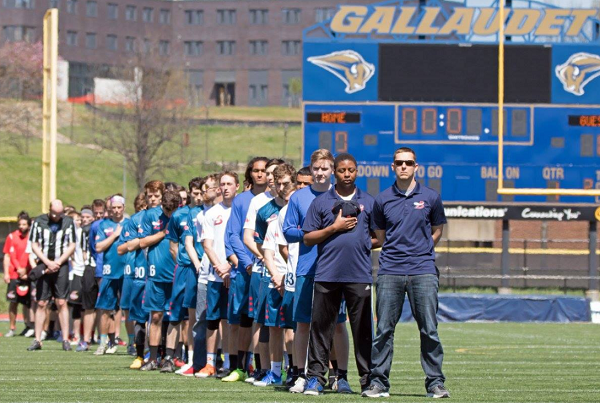 In 2016, the Philadelphia AUDL team went winless. 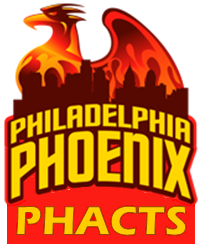 The last regular season win for Philadelphia Phoenix was on July 12, 2015 versus Rochester Dragons. The last regular season win for Philadelphia Phoenix against a current AUDL East team happened in their inaugural season on June 29, 2013 vs D.C. Breeze. Since 2014, Philadelphia Phoenix have won only 3 games in their last 42 games (3 AUDL seasons). All 3 wins were against Rochester Dragons, (2-1) in 2014 and (1-1) in 2015. 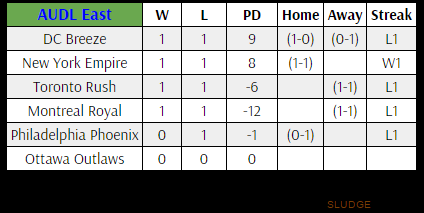 In the past 3 AUDL seasons, the Phoenix are (3-39); that's a dismal .071 winning %. When asked about goals or expectations for the team in the AUDL 2017 season, former DC Breeze player and newly signed Philadelphia Phoenix player Nicky Spiva replied: "I don't have specific outcome goals/expectations. Hoping to have fun and play well as a team - hopefully we will win some games." Yes, these discs were actually made and available for sale. 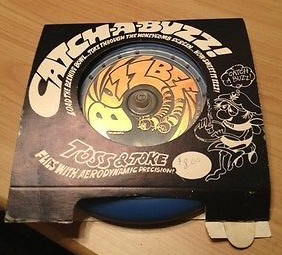 Current eBay listings for the Buzzbee are priced very high at $200. UPDATE, the above Buzzbee just sold for $200 - a 2416% increase from its original price! The World Championships of Beach Ultimate (WCBU) announced the official game discs for its international beach ultimate competition on June 18-25 in Royan, France. 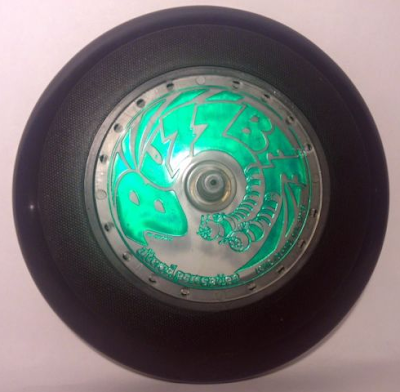 In addition to the standard white plastic Discraft UltraStar, WCBU is requiring a fluorescent yellow UltraStar. Both discs are the standard 175-grams weight. 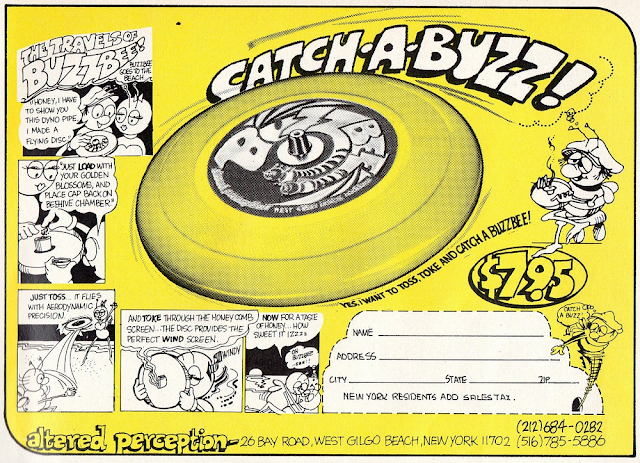 The primary reason for adopting yellow fluorescent discs is to be fan-friendly in being able to attendees and stream viewers to track the disc. All broadcasted games will be played with a neon yellow disc. 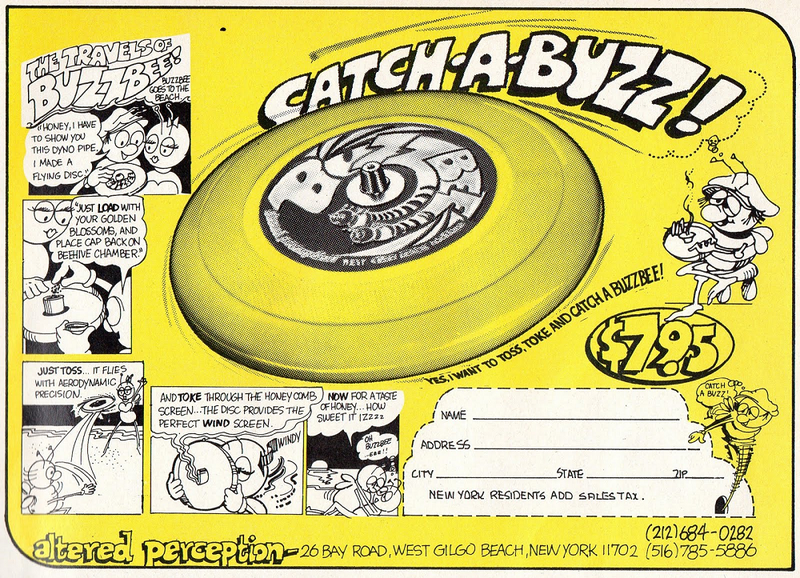 Non-streamed games will have the choice of playing with the white or neon yellow disc. 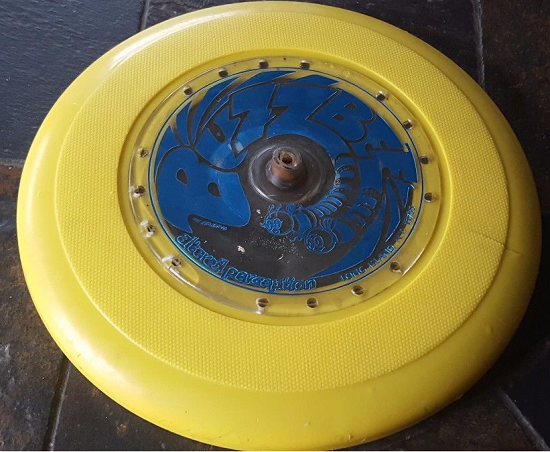 Heat absorbing tests show that the fluorescent yellow disc stays firmer than other colors when exposed to the sun, while in-competition tests showed that there is not a significant impact on play using a fluorescent disc. 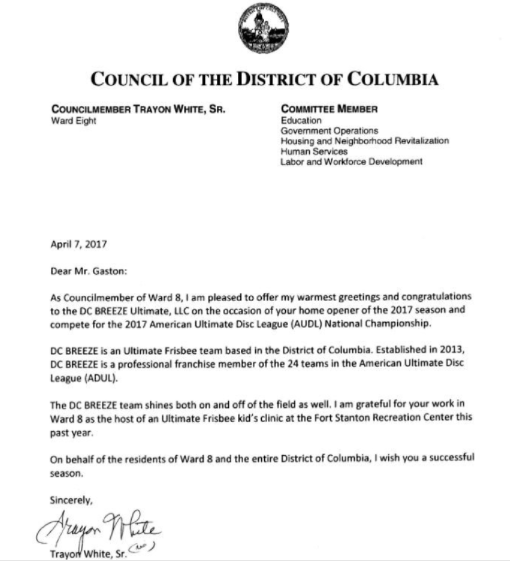 The tournament host recommends teams to "play and practice with yellow disc before the WCBU starts." Tennis plays with a yellow ball yet is played on a green or blue hard court. AVP (beach volleyball) plays with a white and yellow ball. The men's ultimate team at University of Wisconsin has (finally) determined that their team name is offensive and misogynist. 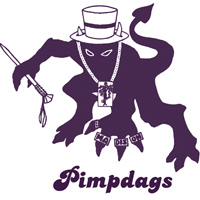 The UW B-team was known as "Pimpdags." 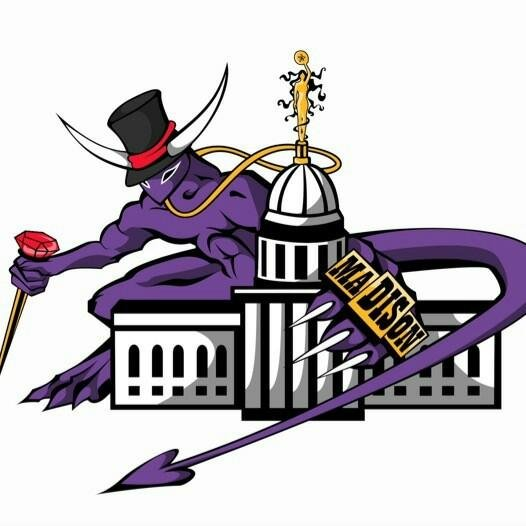 The college ultimate team's logo features a purple hodag - a mythical critter in Wisconsin - with a cane, top hat, chain, and rings for each digit. Hodags is the UW men's A-team name while the UW women's ultimate teams are called Bella Donna and Atropa. 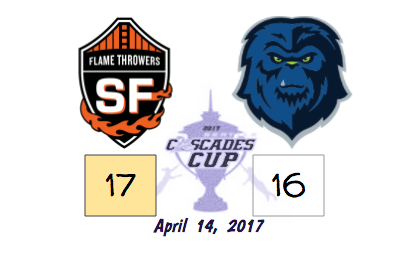 San Francisco FlameThrowers traveled to Seattle to play in the (Seattle) Cascades Cup. FlameThrowers won 17-16 (10-8 HT) over Seattle Cascades. 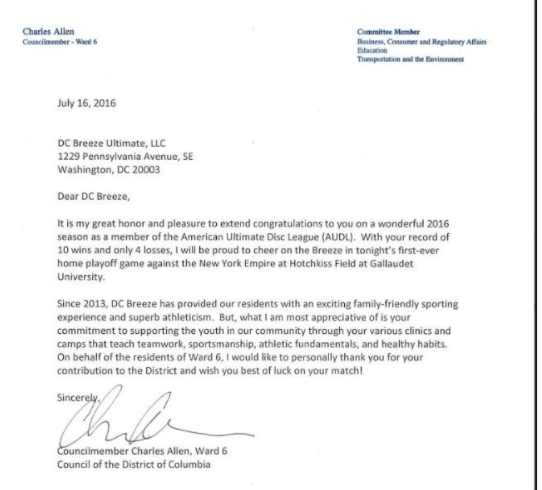 This historic game took place on the same date as the inaugural AUDL games were played exactly 5 years earlier. The 1st quarter of referee'd ultimate started with these mixed teams going 4/3 ratio (4 male/3 females), then alternating to 3/4 in the 2nd quarter and following the same format in the second half. Sam Kanner (San Francisco) started the game with the opening pull. Mark Burton (Seattle) scored the game's first point with an assist from Hana Kawai. Mac Taylor threw the FlameThrower's first goal to Brett Petersen. Former DC-area player Antoine Davis had a late game block to preserve the FlameThrowers' win and take home the $500 cash prize. Watch the nearly 2.5 hour video replay. Or, check out the highlights. San Francisco plans to host the FlameThrowers Cup in the AUDL 2018 season. 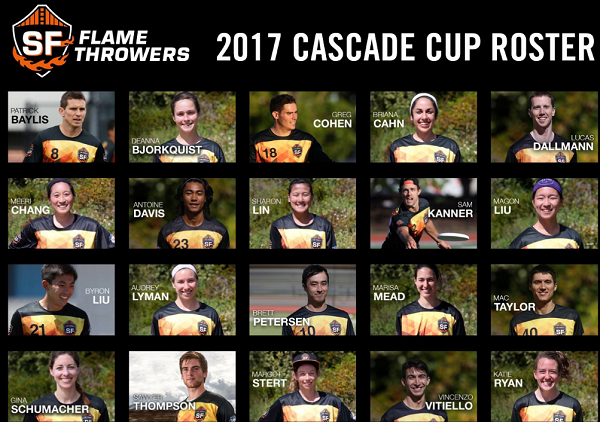 The inaugural Cascades Cup will feature a team of current San Francisco FlameThrowers (male) players and 10 Bay Area female players versus a team of of current Seattle Cascades (male) players and 10 Seattle-area female players. 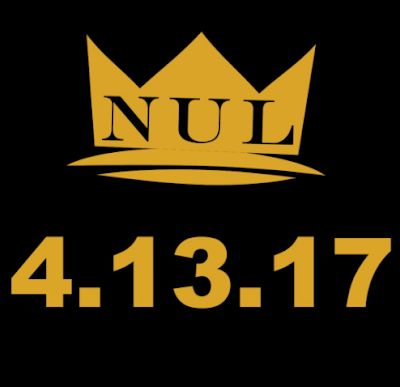 This mixed gender professional ultimate game takes place on April 14th - the same date as when the AUDL began in 2012. The mixed-gender game will be played under AUDL rules and is planned to alternate between 3/4 and 4/3 ratio. A cash prize of $500 ($25 per player) will go to the winning team. The game will be streamed via Facebook Live by Fulcrum Media. According to Cascades owner and General Manager Xtehn Titcomb: "There are female athletes in our city who deserve equal playing opportunities to their male counterparts. This game, we hope, will be the catalyst for a broader sequence of actions within our sport to provide greater playing opportunities for women." 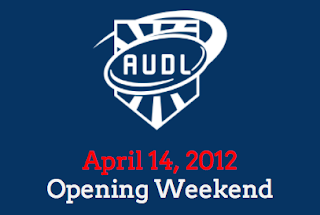 On this day (April 14) in 2012, the first American Ultimate Disc League (AUDL) games were played. The AUDL's regular season of 16 games per team scheduled four games featuring all 8 teams in the league. In the very first AUDL game, which was played in East Providence, Rhode Island, the Connecticut Constitution won by the score of 29-23 (14-8 HT) over the Rhode Island Rampage. 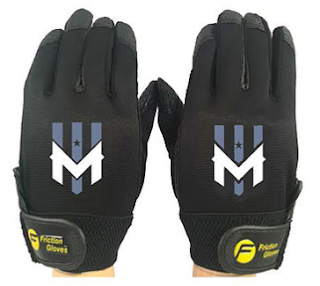 Neither team would continue into the next AUDL season. See how the teams tweeted their score results. 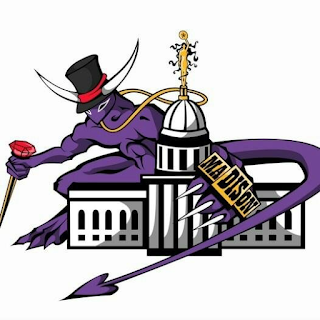 The San Francisco FlameThrowers and Seattle Cascades will be meeting on Friday in a 7v7 mixed pro ultimate exhibition match called Cascades Cup. 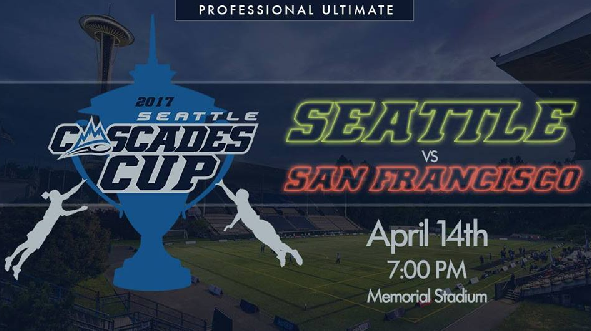 The game will be played with AUDL rules and each team roster - San Francisco @ Seattle - consists of 10 female and 10 male players competing for a cash prize of $500. 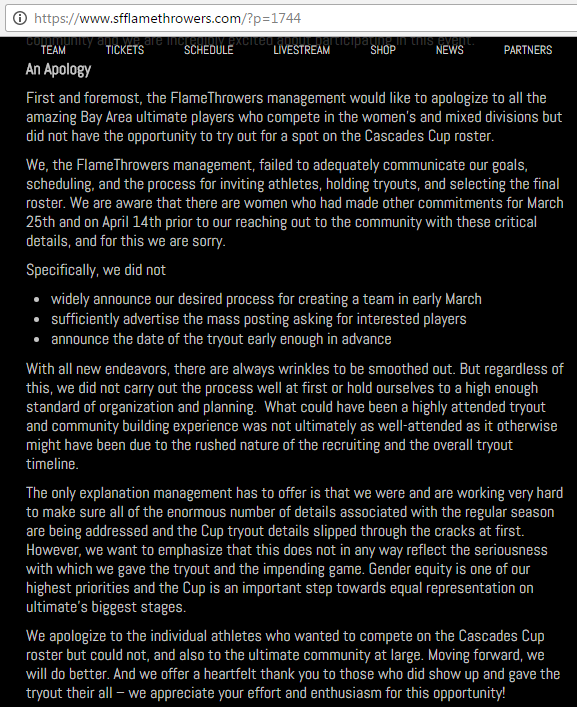 First and foremost, the FlameThrowers management would like to apologize to all the amazing Bay Area ultimate players who compete in the women's and mixed divisions but did not have the opportunity to try out for a spot on the Cascades Cup roster. We, the FlameThrowers management, failed to adequately communicate our goals, scheduling, and the process for inviting athletes, holding tryouts, and selecting the final roster. We are aware that there are women who had made other commitments for March 25th and on April 14th prior to our reaching out to the community with these critical details, and for this we are sorry. With all new endeavors, there are always wrinkles to be smoothed out. But regardless of this, we did not carry out the process well at first or hold ourselves to a high enough standard of organization and planning. 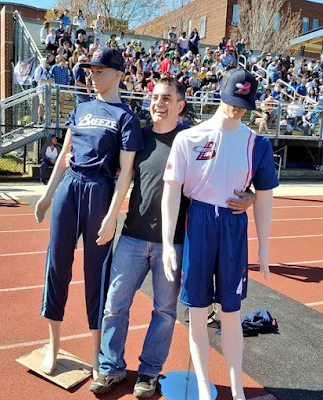 What could have been a highly attended tryout and community building experience was not ultimately as well-attended as it otherwise might have been due to the rushed nature of the recruiting and the overall tryout timeline. The only explanation management has to offer is that we were and are working very hard to make sure all of the enormous number of details associated with the regular season are being addressed and the Cup tryout details slipped through the cracks at first. However, we want to emphasize that this does not in any way reflect the seriousness with which we gave the tryout and the impending game. Gender equity is one of our highest priorities and the Cup is an important step towards equal representation on ultimate's biggest stages. We apologize to the individual athletes who wanted to compete on the Cascades Cup roster but could not, and also to the ultimate community at large. Moving forward, we will do better. And we offer a heartfelt thank you to those who did show up and gave the tryout their all – we appreciate your effort and enthusiasm for this opportunity! 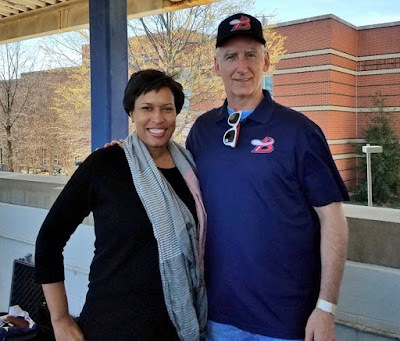 The D.C. Breeze won their home opener on Sunday over Toronto Rush by the score of 32-21 (16-12 HT). 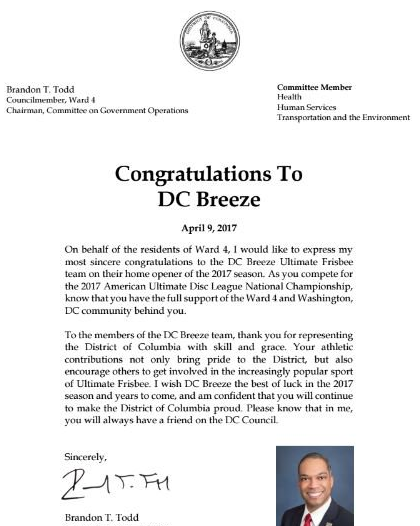 The Breeze have now won 2 season openers out of their 5 AUDL seasons. 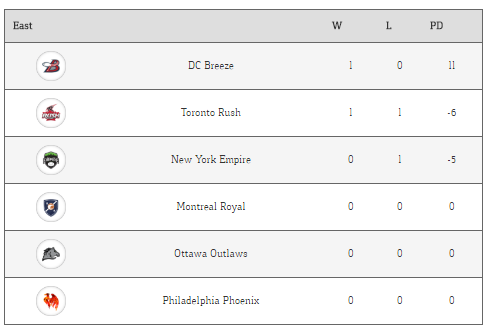 At (1-0), DC Breeze sit atop the AUDL East. 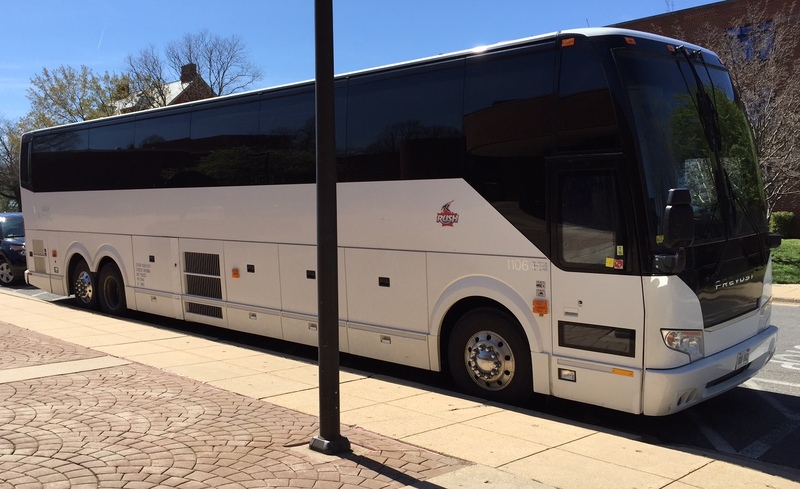 Welcome sign: "DC Breeze & Other Sport"
"TOR" Bus: Big bus, tiny Toronto Rush logo. DC's next game is against the Flyers in Raleigh on Saturday April 22. According to @NatUltiLeague, today is when the NUL is scheduled to launch. National Ultimate League mission: To promote a more equitable world in the sports entertainment industry. National Ultimate League vision: To create more opportunities for non-cisgender-male people to thrive in the ultimate frisbee community through education, policy, and disruption. 1. Share your story with the NUL to take on the issue of equity on..
2. Submit a video for the SOTG College Documentary Competition. 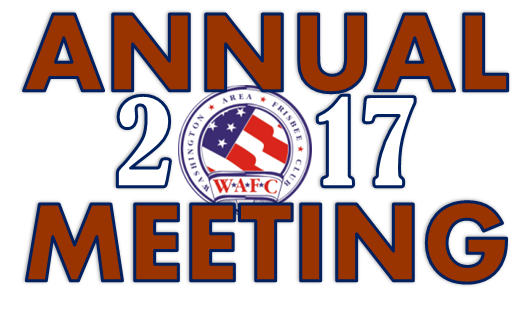 WAFC's annual meeting is scheduled for this week. WHY: As a member-based organization, WAFC's bylaws require an annual meeting of its members to discuss past year efforts, elect volunteer leaders to the board of directors and learn more about WAFC's activities. 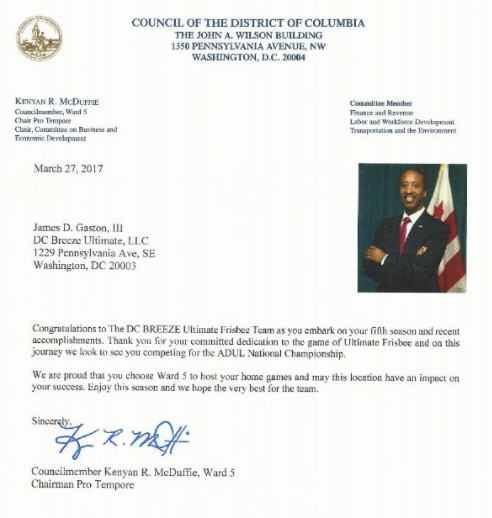 All Dc-area players are encouraged to attend and participate in the meeting. It is with a heavy heart to announce the passing of a beloved SLUDGE ultimate parent this past weekend. 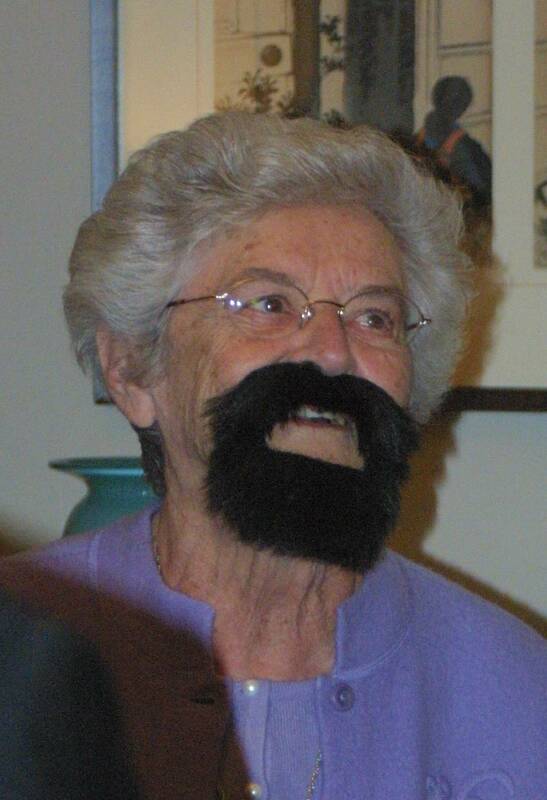 She was 90. Ultimate parents are an awesome bunch and this one was especially special. She was beloved by her extended family and her adopted frisbee team/family. Kate during a surprise party for her bearded son. Kate, thank you for your kindness and hospitality. 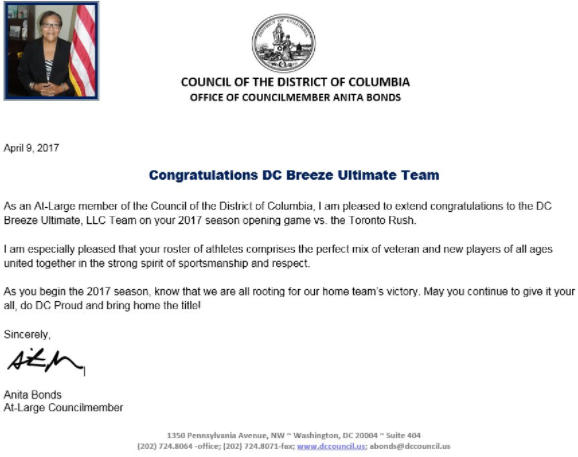 The D.C. Breeze won their opening game of the America Ultimate Disc League season with a convincing 32-21 victory (16-12 HT) over Toronto Rush. This is DC's second consecutive season opening win. Similar to last season, they won their season opener by 11 goals. With Sunday's win, the Breeze are now (2-3) all-time in their AUDL season openers. All 3 losses are against Toronto Rush. 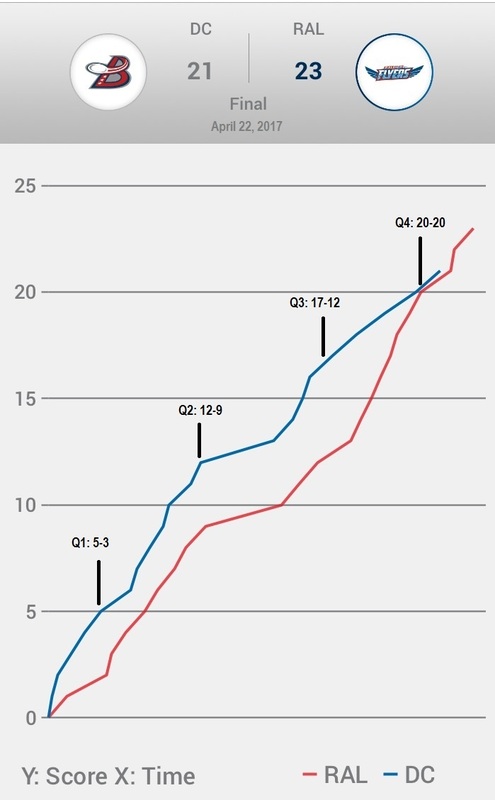 This is only DC's second win over the Toronto team. 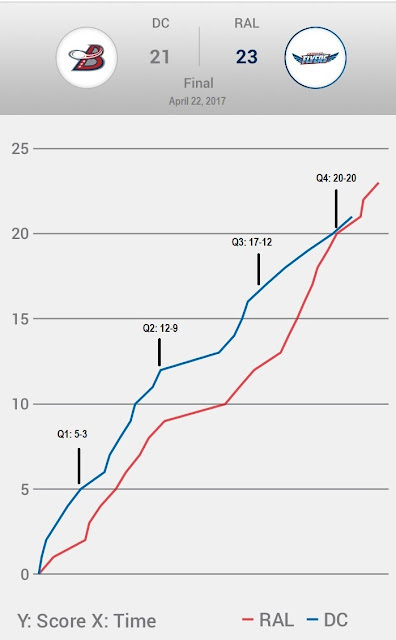 The Breeze 's only other win against the Rush happened last season on July 6. 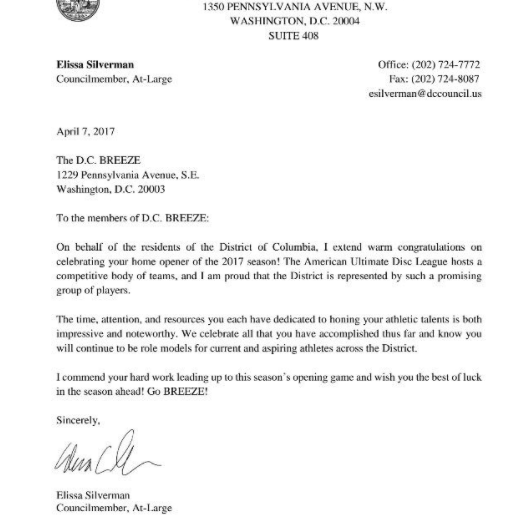 In 5 AUDL seasons including postseason play, DC Breeze are (2-11) versus Toronto Rush. 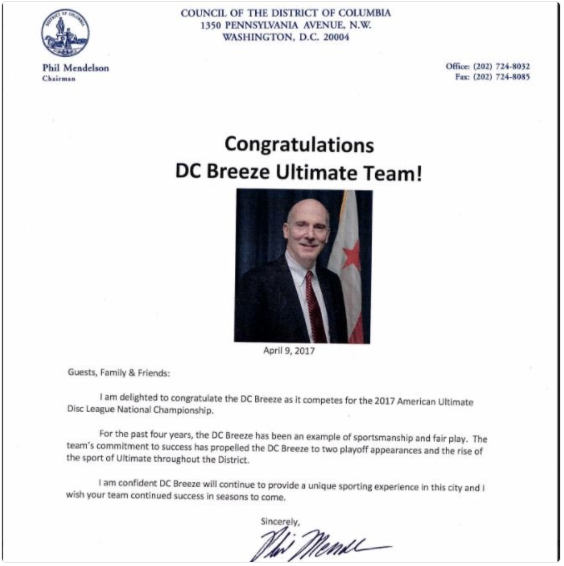 Today is opening day for the D.C. Breeze as they begin their 5th season in the American Ultimate Disc League. 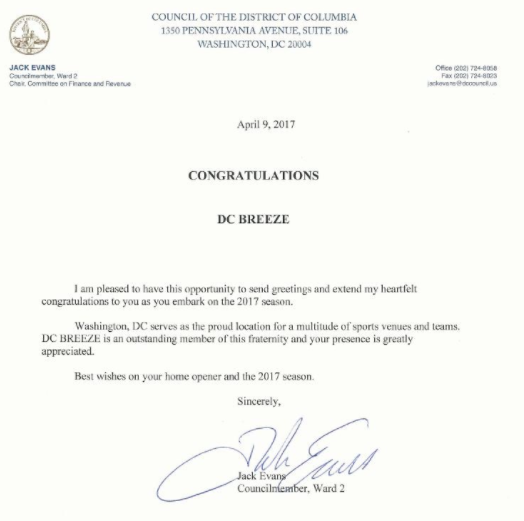 The Breeze look to add to their overall win total during the 2017 AUDL season.